Prevents shrinkage and resorption of the jaw because it acts like a tooth root. This is very important because without the root structure of a natural tooth present, the jawbone can shrink. This shrinkage will make your face look older than it is. Chewing remains very natural because it has the same strong chewing force as a natural tooth. 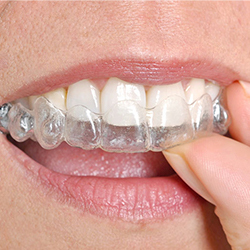 Protection of adjacent teeth: with a bridge, your healthy adjacent teeth will be affected and cut down to a smaller size. But, when an implant is placed, it is simply placed in the middle between the teeth. What are the components of getting a crown over an implant? Anyone who is missing one or more teeth due to injury, disease, or tooth decay may be a candidate for dental implants. The determining factor is the amount of available bone. Your dentist is the best person to evaluate whether dental implants are a viable solution for you. 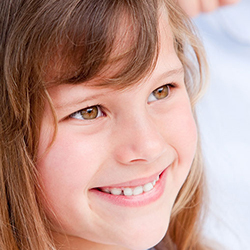 Dental implant-supported replacement teeth look, feel, and function like natural teeth. This means that you can eat and drink whatever you choose. But most importantly, dental implants often improve quality of life in a very concrete way. 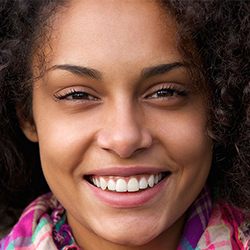 People who have felt embarrassed and worried because of their tooth problems are often overwhelmed by what new permanent teeth can do for their self-esteem. Today, state-of-the-art guided surgical techniques are convenient alternatives to place dental implants and allow you to have the dental implant placed in a single session using keyhole surgery. This new method has significantly simplified the procedure, for both patients and dentists. The major advantage of the guided surgical technique is the minimal amount of manipulation of the soft tissue due to keyhole surgery. This significantly reduces the healing time and the discomfort normally associated with traditional dental implant surgical techniques.The conventional process can take from three to six months. First, the dentist places the dental implant, which is left for three to six months to heal and integrate with the jawbone. 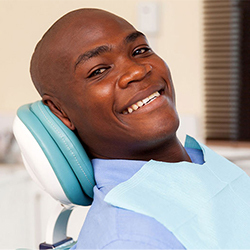 During the healing period, you are given a temporary prosthesis until the permanent crown is put in place.The procedure chosen depends on several factors, such as your dental health, the number of teeth involved, and which teeth are replaced. These factors will also determine the total number of visits to the dentist throughout the treatment period. To learn more about dental implants in Royersford, Pennsylvania, and to schedule your personalized consultation with Dr. Sajid, please call us today. We are eager to restore your smile!